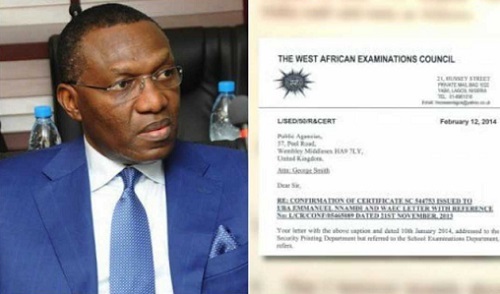 The news outlet says it has obtained a document issued by the West African Examinations Council (WAEC) declaring that Senator Emmanuel Nnamdi Uba, better known as Andy Uba, forged both a secondary school certificate and “Confirmation of Result” which he presented to British authorities. In a report earlier today, SaharaReporters disclosed that Senator Uba, who represents Anambra South senatorial zone, had falsified the grades he earned in the secondary school leaving certificate exams conducted by WAEC throughout West Africa. Mr. Uba, a former senior domestic assistant to former President Olusegun Obasanjo, attended Union Secondary School (formerly Boys High School), Awkunanaw, a suburb of Enugu, the current capital of Enugu State. Records obtained from the school and elsewhere showed that the controversial senator attended Union Secondary School from 1970 to 1974, when he sat the secondary school leaving certificate. Signed by O.M. Adebayo, deputy Registrar in charge of School Exams Department, WAEC’s letter added: “The Certificate No: SC 544753 with candidate No. 05465089 was found to be fake, as signatures on the document were forged. 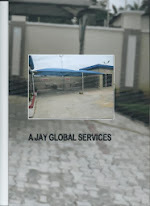 Also, the serial number quoted on the ‘certificate’ was non-existent in our system. In addition, the spelling of GRADE as GARDE let the document out as fake.” Mr. Adebayo stated that a candidate with the same name as Mr. Uba “sat the GCE in the school in 1974,” and then detailed the authentic results earned by the senator. Mr. Uba’s real results, as certified by WAEC in its letter to Mr. Smith, showed that the senator performed woefully, scoring “credit” in only one subject, Chemistry. He failed English Language, Bible Knowledge, and Economics. He earned grades of mere “pass,” which are close to “fail,” in the following subjects: English Language, Statistics, Mathematics, Physics, and Biology. By contrast, Mr. Uba’s falsified results claimed that he earned the following grades: English Literature 4, English Language 7, Christian Religious Knowledge 7, Economics 4, Statistics 6, Mathematics 6, Physics 4, and Chemistry 6. 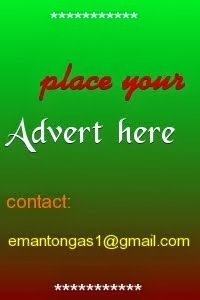 In addition to fraudulently altering the grades he obtained in his terminal secondary school certificate, Mr. Uba also claimed on his official website as well as his page on the National Assembly website that he obtained bachelor’s, master’s and doctorate degrees from Concordia University, Canada, California State University, and Buxton University in the UK. Our investigations disclosed that Mr. Uba indeed registered as an undergraduate student in both Concordia University and California State University, but that he dropped out of both institutions without completing enough work to earn even a bachelor’s degree. Our further investigation also showed that Buxton University is not an accredited institution of learning, but a “certificate mill” that sells degrees to anybody willing to pay a small fee. Even though Mr. Uba’s official website claimed that the senator attended Buxton University in the UK, the fake institution does not have any physical address in Britain. It once operated out of Portugal, using that country as a location from which to send “certificates” to customers around the world.